Quality by the metre - that is the standard with which Leitner Leinen fabrics and upholstery are made. Cotton, half-linen or pure linen: this is where luxury meets reason, the highest quality meets old weaving techniques and creativity meets skilled execution. For generations, the Leitner family of linen weavers has stood for anchoring traditional jacquard weaving into contemporary interior design. This includes staying technically state-of-the-art. Official recognition such as the "Salzburg Prize" or "Textile Company of the Year" is testament to the success of these efforts. We currently weave jacquards that are 3.20 metres wide - twice as wide as usual. We are anything but average in terms of fabric consistency, too. With 40 threads per centimetre in width and a total of 12,800 threads along the total width, we weave the jacquard as tight as meets our high understanding of quality. It is here that lies the secret of the quality of our half-linen and linen fabrics. Because linen has no stretch, the weave must be dense and flawless to allow the delicate jacquard pattern to reveal its full effect. Let your creativity run free! Leitner Leinen’s wide variety of fabric by the metre makes designing a treat. Clothing, bed linens, table linens and curtains; self-sewn or prepared by your trusted tailor: you’ll find all the upholstery inspiration you need with Leitner Leinen’s jacquard fabrics. 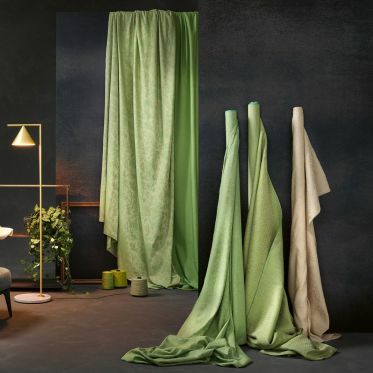 Starting from a minimum of one linear metre per fabric, the whole range of Leitner Leinen fabrics is available to you - from sleek solids to fanciful jacquards, in cotton, half-linen or the finest linen fabric. 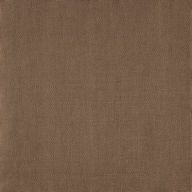 You can also purchase luxurious and robust upholstery fabrics from Leitner Leinen. Made of pure linen, they are perfect for interiors and are available in four different designs and a range of trendy colours. Our upholstery fabrics not only give antique and valuable period furniture a modern touch, but are excellent for contemporary furniture, too. Do Leitner Leinen’s wonderful jacquard weaves speak to you? 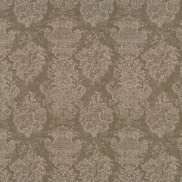 Our fabrics are available in both fabric by the metre and finished products. Whether you’ve been bitten by the creativity bug or you’d rather entrust the tailor of your choice to make something just for you: you will receive our upholstery fabrics and fabric by the metre in the quantity you need. We also offer a wide variety of readymade products. We will be happy to help you find exactly what you’re looking for. Be inspired by our beautiful solid and jacquard print fabrics, available as fabric by the metre and finished products made of cotton, half-linen and linen. The current Leitner Leinen upholstery collection is just waiting to give your home an extra-special touch.